The Mariinsky Theater holds 12 free concerts of classical music on Wednesdays in March, April and May for everyone who will have free time in the middle of the day. The program features Raсhmaninov, Schubert, Grig, Ponce, Piazzolla, Shostakovich, Mozart, Beethoven and others. The concerts are held within the Open Wednesday project that makes it possible to attend free events for everybody. Music is performed by young and famous musicians of the theater. Each event starts at 14.00 every Wednesday, except March 9 which is Thursday. Till May 24, the day of the last performance, totally 12 concerts will be played. Number of seats is limited, the hall’s capacity is only 170 person. Admittance to the hall starts at 13.30. 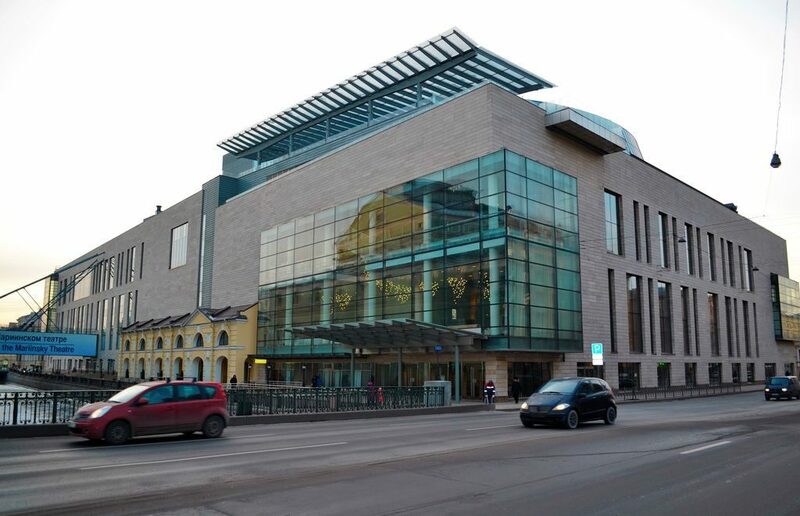 Please, note that the concerts will be held at the Mariinsky II (see photo), a modern building located next to the first historic Mariinsky building. Address of the Mariinsky-2: 3, Dekabristov str. Read our post about getting to the Mariinsky Theater and house rules there.